Hi, I am interested in your 1976 Jaguar XJ6 (stock #CTP2438.2) listed on Autotrader for $29,900. I'd like to get more information about this vehicle and confirm its availability. Jaguar XJ is a series of full-size luxury cars produced under the Jaguar marque by British motor car manufacturer Jaguar Cars (becoming Jaguar Land Rover in 2013) since 1968. Since 1970 they have been Jaguars flagship. The original model was the last Jaguar saloon to have had the input of Sir William Lyons, the companys founder, and the model has been featured in countless media and high-profile appearances. The current Jaguar XJwas launched in 2009. It is one of the cars used by the British royal family and an armoured version is used for transporting the UK Prime Minister. 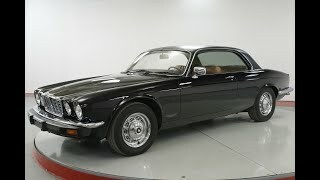 1976 Jaguar XJ6C. This car has been built to satisfy a lifelong Jaguar collector s dream to own a better than new XJ6C. This car started out as a 70,000 miles chassis and had the complete interior removed to allow both complete floor pans and front jacking points replaced along with minor other areas where rust was noted. The build continued with compete removal of the drivetrain, suspensions, fuel tanks, and HVAC unit. A 1986, 56,000 mile Series 3 donor XJ6 was purchased to provide the new fuel injected drivetrain for the Coupe. The engine was stripped and had all new gaskets installed and was inspected with wear items replaced. The transmission from the XJ6C had new seals installed while it was removed. With the new drivetrain installed, the oil cooler, radiator, A/C components along with all electrics and ancillaries were located in the engine bay as per later XJ specs. The air pump was removed and a GM alternator installed in its place. The Series 3 front sub-frame was installed into the XJ6C. The original rear suspension from the Coupe saw the brakes, U-joints, and outer hubs rebuilt and the 3:54 ratio differential resealed before being reinstalled. New fuel tanks and sender units were installed along with custom fuel lines and the complete fuel injection system and partial wiring harness from the donor car to make the Coupe fuel injected. Dual electric fans, custom exhaust complete with headers, a custom cold air intake utilizing a K&N filter inside the donor car s air filter housing were all incorporated. The donor car also provided the climate control for the Coupe, which was completely rebuilt prior to install and has the upgraded amplifier unit and a new A/C compressor. The seats were re-dyed as the leather and stitching is good. New sound deadener, Wilton wool carpets, headliner, re-foamed seats, and recovered dash top were all installed along with the donor car s wooden dashboard. An aftermarket stereo was also added along with an electric antenna. The car was then subject to a bare metal, glass out respray in black cherry that saw the addition of an XJ-S Growler medallion in place of the traditional leaper. All of the modifications with the build have resulted in a truly superb driving XJ6C that is noticeably quicker than stock.